Lest we forget … 35 years ago today, four students were murdered by National Guardsmen at Kent State University. People who were there haven’t forgotten. 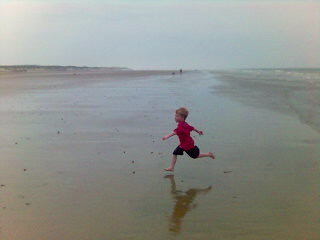 Charlie running on the beach near Calais this afternoon. We’re in France for the weekend, stocking up on sun, sand, good food and wine.